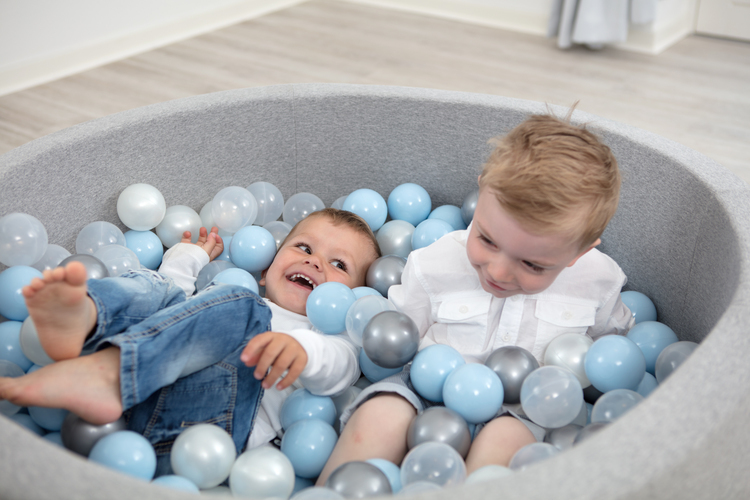 A round light gray ball pit, included 200 balls. MISIOO is hitting the world with the new ball pools for kids. The ball pools are already a bestseller and loved by kids and parents around the world. With a Ballpit from MISIOO, you will provide your child with the best playground. Where there is space for play, cozy and socializing. Provide your child the opportunity for new sensory experiences, moving skills and body awareness with the original MISIOO Ballpit. The cover is Øko-tex 100 standard cotton, nice and soft, and washable at 40 degrees. The balls are CE approved, and comes in many beautiful colors. Hello and welcome to minifabriken! We are the founders of minifabriken, are called Mina and Natalie. We have children from 0-7 years of age and love children's furniture and toys. We put a great deal of good products that are organic but also durable. We want to see more toys that can go for generations. 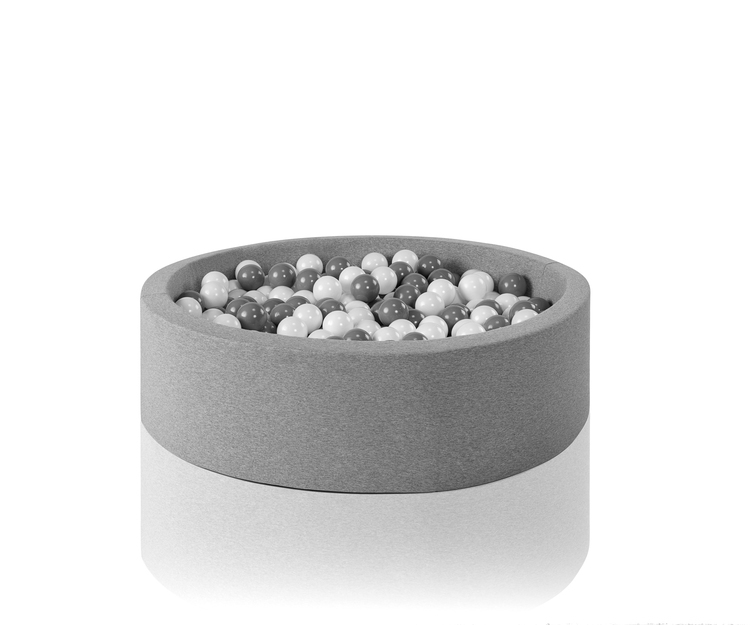 We hope you will like our product range, please feel free to sign up or sign up for our newsletter as we often get new products. If you have any questions, please contact us by email, Instagram or FB. Security comes first with us. Therefore, as a customer, you can always feel safe and secure when shopping with us. We use the following payment methods.